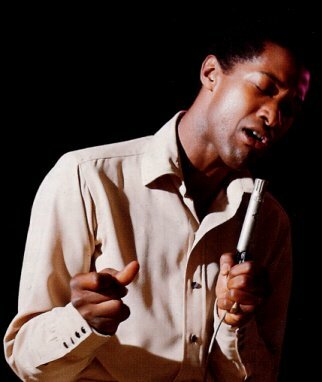 Sam Cooke was one the first to blend gospel music and secular music, the early foundation of soul music. He was the opposite of Elvis: He was a black performer who appealed to a white audience, who wrote his own songs and who controlled his own business. On Jan. 12, 1963, Sam Cooke was not playing to the white audiences who knew him only from his earlier records. 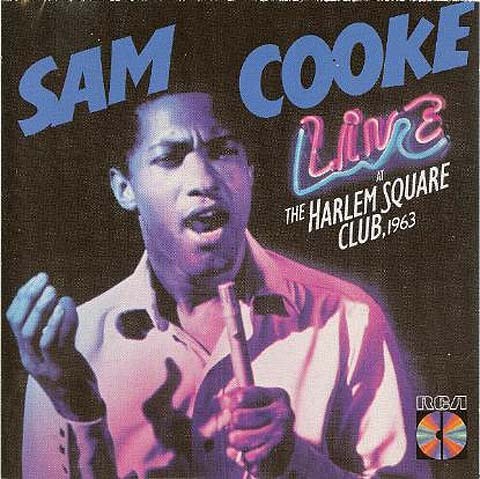 He was headlining a few concerts at Miami’s Harlem Square Club, he performed for black audiences who appreciated his roots and expected a grittier, more soulful Sam Cooke, which isexcactly what they got! It is indeed a rougher, rawer and more immediate side of Sam Cooke on display. Sam Cooke’s smooth voice sets the tone but it’s his abillities as an entertainer in world class form that take it to the top. Cooke was energized by a recent tour of Europe with former labelmate Little Richard, when he took the stage at the Harlem Square Club in Miami. He gave us an electrifying set of sweaty, sanctified, manic and masterful soul music. The show was taped for an album which sat on the shelf for twenty years until it was released in 1985. It is a fantastic recording and maybe it shows us what direction Mr. Cooke could have gone. But instead he got an eighteen month period which would see his baby son die, see the recording of some of his finest music, and then his all too early death. One night stand! 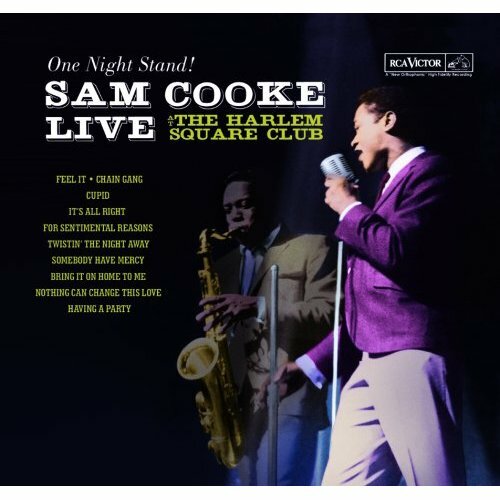 Live At The Harlem Square Club is one of the finest live releases I know of, worthy of standing next to James Brown’s landmark Apollo Theater date (recorded just a month earlier) and also worthy of the 23rd place on my list of the 30 best live albums. It is one of the great moments in the history of soul music, heck, any kind of music! Cooke was elegance personified, but he works this Florida club until it’s hotter than hell, while sounding like he never breaks a sweat. He croons “For Sentimental Reasons” like a superlover, and when the crowd sings along with him, it’s magic. There was nothing soft, measured or polite about the Sam Cooke you saw at the Harlem Square Club; there was none of the self-effacing, mannerable, ‘fair-haired little colored boy’ that the white man was always looking for. This was Sam Cooke undisguised, charmingly self-assured, “he had his crowd,” said [guitarist] Clif White approvingly – he was as proud as he has been raised to be, not about to take any scraps from the white man’s table. For me the difference from his studio work and this live album is clearest on Chain Gang. Listen to the two songs from the two minute mark, strike that, listen to the whole song. Both versions are great but the live version is raw, fantastic distillation of Soul! The way he switches from smooth, velvety voice into a gritty rasp, it is amazing, what an “instrument” he had. All the songs are darker, more raw, more sexual. Cooke is twisting the audience around his finger and he sounds like a man who has earthly desires to attend to. 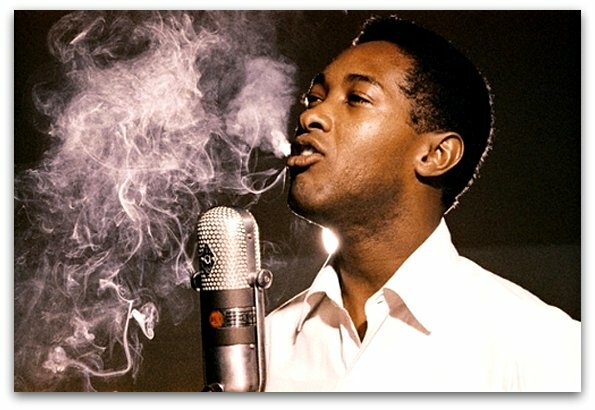 It is raw soul, and I never thought I should say that about Sam Cooke! Get it and listen to it straight through. Don’t fight it, baby, feel it! This is exactly why I love live albums, the variation from the studio recordings and the way a performer can “own” the audience. Sam Cooke certainly owned his audience this hot Florida night in 1963.